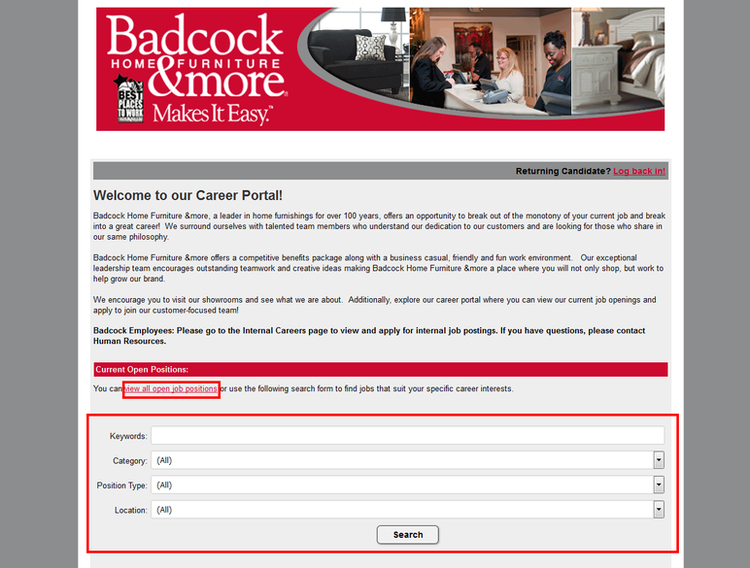 Enter the Badcock Furniture career portal - badcock.com/careers, clcik "View all available " you can search the job that you want through keywords, category, location and position. 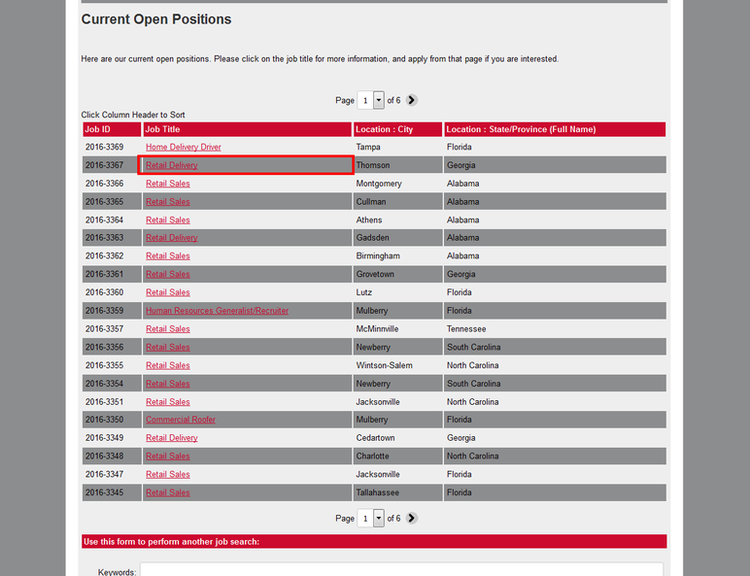 If you don’t have any idea, you can view all the job openings by clicking the red link above the search box. Here is a job list, pick a position according to your consideration. Let’s take retail delivery for an example. Badcock Furniture gives a quite detailed description of the job. 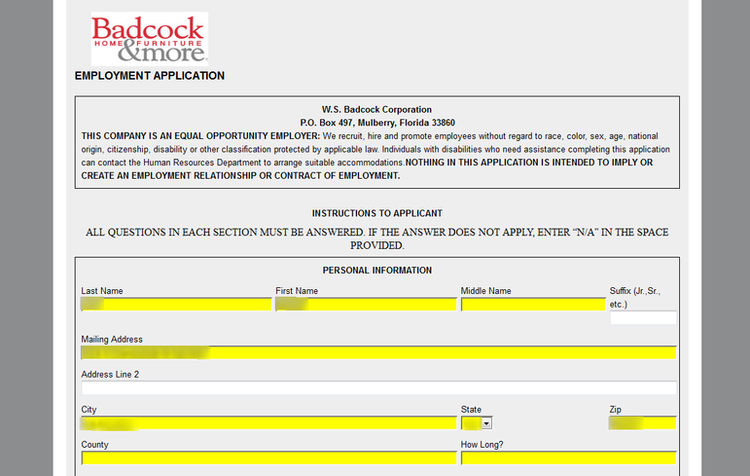 After finding yourself a eligible applicant, click “Apply for this job online” to continue. The creating ways are diversified. We suggest that you create your profile by uploading your resume from your computer. Login means your user name here. Now it’s time to start your application. You need to provide your address and your preference on this page. This is a form that you need to fill up with all your job-related information. The yellow part must be fill, otherwise you cannot submit your form. However, you can save it and complete it later. 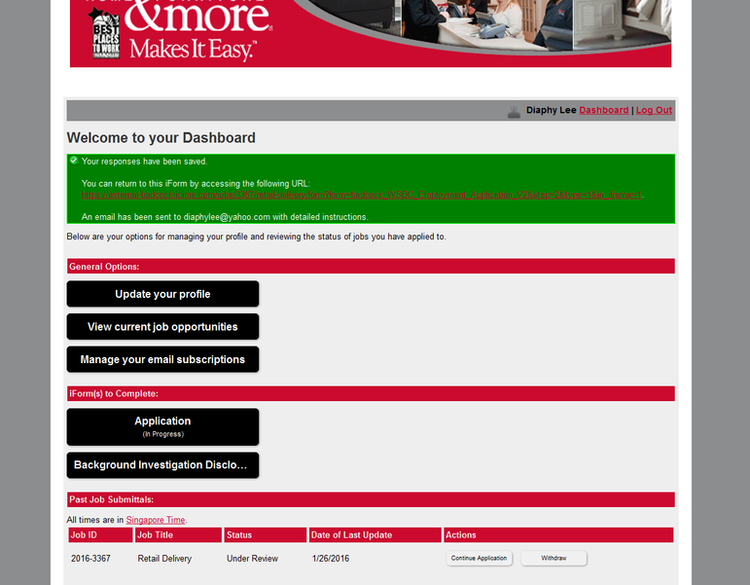 If you see this page, your application almost going to be finished. Below the page there is a mini chart where you can choose to continue your application. Remember to finish all the steps in a careful, patient way. We sincerely wish that you can get an offer from Badcock Furniture. 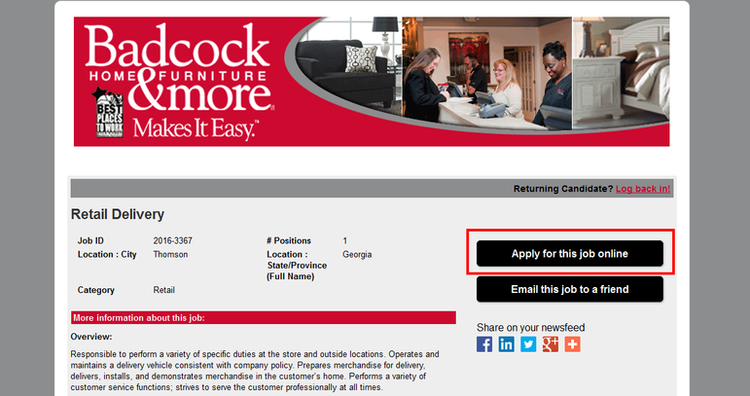 Click badcock.com/careers to apply for Badcock Furniture jobs online.